Advanced PrintCare is the AIS managed document services package that streamlines your document output – from device management and maintenance to reports to best practices for tracking document output. Your business benefits from having a mix of the right devices to deliver the documents employees and customers need. Without the need to support printers and copiers, your IT department will have more time to focus on building competitive advantage. PaperCut is software that allows us to monitor your digital printers. Print monitoring reports analyze and audit printer and copier usage The reports, combined with application of print rules, allows for a more environmentally-friendly office that also cuts costs. It's a central piece of Managed Document Services. Encourage responsible use of company resources. Track printing and associated costs by individual user, office, or department. Output monitored and reported or charged back on a per-document, per-user, per-client, or per-department basis. Actively manage the print process with filters, routing, and redirection – to the most cost-effective printer for the print job, for example. Print monitoring reports allow you to analyze and audit printer usage. Educate workers and create an environmentally aware workplace – pop-ups with messages to confirm that “Yes, I really need to print this” can make employees think twice about the need to print. PHASE 1 – Initial roll out that enables monitoring and billing. End users will be required to login one time and will begin seeing popups again asking for department budget codes. PHASE 2 – Introduction of behavioral-changing features to help users become more productive while providing cost savings opportunities for your business (default to black and white and print job routing to less expensive devices are two examples). AIS will stock each device with a replacement toner cartridge for each multifunctional printer and stand-alone printer. Via PrintFleet software, we manage your print fleet's supply levels and service issues – in real-time. That means we dispatch service technicians BEFORE your equipment causes you trouble and that toner is on the way before you even know you need it. Here's a high-level overview of PrintCare, the AIS managed document service. The core of billing for managed document services is what you pay to print or copy each page. Having to read and report your meter readings each month is a waste of your time. Each of your output devices will have internal meters that keep track of usage statistics (such as the number of pages printed). Our system automatically reads the meters from the devices and sends that information to AIS for billing. Customers have access to the same information if they choose to receive it (for internal validation, for example). The data can be configured to export to any of several popular enterprise resource planning (ERP) systems – Digital Gateway’s e-automate, ECI’s: OMD, La Crosse, and Evatic. You can also include meter information in reports which can be automatically emailed in .csv or .pdf format, and then customized for import into virtually any billing system. 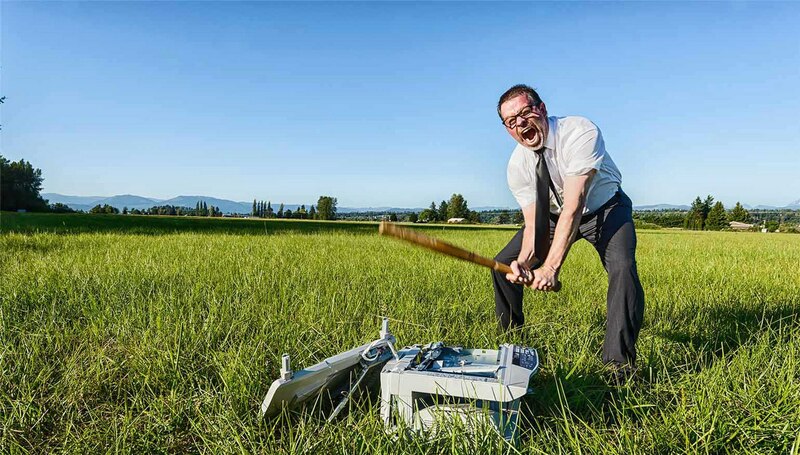 When a printing device encounters a problem, it typically sends a message to the network. It could be something as simple as an Out of Paper notification or something more serious requiring the attention of a service technician. AIS’ MDS Management System Enterprise is able to detect these messages (including vendor-specific error codes), and alert you when they occur. You can define a custom email response to each alert (such as choosing a different recipient and subject line), and you can manage and sort your active alerts from a single screen. When a device needs regular maintenance, AIS receives an automatic notification. You can be notified at the same time. That way you'll know we'll be in touch soon to schedule the routine maintenance or you can give us a call to schedule it when convenient for you. Are color devices being used for color printing? Are multifunction printers being used to copy/print/scan? Are there opportunities to reallocate or replace high volume/low duty cycle devices? Are there opportunities to reallocate low volume / high duty cycle devices to high volume areas? The Power Usage report is useful for tracking power consumption. Users may accidentally change settings. Over time, power consumption can add to your electric bill. This report will help to identify anomolies or spikes in energy use by devices. If one of the 40 reports doesn't answer your questions, you can create customized reports. Technical: Basic device information such as name, supplies status, device status, yesterday meter count, serial number, IP address, location, and last active date. Supplies Order: Displays supplies-related information, including toner levels or status. Supplies can also be ordered from the Supplies Order View. Alerts: Displays the customer name, number of devices that have recent alerts, and a link to view alert details for each device. Maps View: Upload images of your office floor plans, then use them to place images of printing devices, computing devices, people, and other miscellaneous items. AIS’ MDS Management System automatically updates the status of the devices, allowing you to quickly identify and locate devices that need attention. If you want to view the collected data some other way, you can easily create custom device views that include only the data fields you want in the order you want. Some of your devices may remain under your control. Use this feature to group devices according to whether you're responsible for managing it or if AIS is responsible for it. This allows you to group devices by managed vs. unmanaged in views and reports. This allows clients to manage ALL of their print fleet assets in a single view, whether or not an asset is managed by AIS. This can provide insights for companies as they consider retiring devices and/or moving their entire print fleet into PrintCare. Control access to your AIS’ MDS Management System Web interface by creating roles that specify user permissions; what screens they can access, whether they have read or write access, and whether they see actual or alias group names. Roles can be assigned to one or more users, and users can be assigned one or more roles. Flexible group management allows you to sort devices exactly how you want; by customer, location, account rep, floor – whatever grouping makes sense for your business. Each group can have unlimited subgroups. Install the DCA and access available activation codes directly from the AIS’ MDS Management System web interface. If you're in Las Vegas, NV, the Inland Empire, or in Southern California (we have offices in Riverside, Orange County, Palm Springs, and San Diego); our Advanced Printcare Managed Document Services program could be the perfect solution if you're tired of spending the time and energy required to manage your print fleet yourself. We've installed 35,000 units – and counting – in our 15 years in business. And we manage well over 175 million impressions each month. We've got the experience to manage your print and copy needs too. Once you join our family, you'll never want to leave because our goal is to exceed EVERY client's expectations. Our Net Promoter Score for 2016 was 90.2, which is higher than Apple, USAA, and Costco – three companies that are well-known for having the highest levels of customer service satisfaction. How do we do that? Our employees are highly trained and we track the service statistics that mean the most to our customers. The systems we install perform remarkably well, maintaining an average of 98% uptime. Even though the number of service calls rose in 2016 (because we had more customers than in 2015! ), we improved our one-call resolution percentage to 92%. Additionally, we have statistics that show that we invoice with greater than a 98.5% accuracy rate. It's not just enough to know where the “copy” button is. We work with you to ensure that everyone in your office understands how to take advantage of the full range of your digital copiers' and printers' capabilities. On-line “How To” Instruction available 24 hours a day on some of the most-used functions. AIS provides end-user training, retrain, and continuing education to our clients at no additional cost to you.